Residents of the illegal settlement outpost of Amona, in the central occupied West Bank. voted on Sunday to approve a relocation plan put forward by the Israeli government, after weeks of discussions trying to assuage settler anger over the mandated evacuation of the outpost. Israeli news outlet Haaretz reported that the settlers residing in Amona, in the Ramallah district — an outpost considered illegal by both the Israeli government and the international community — had decided to accept an evacuation plan which would see the majority of them relocated to a nearby hilltop by Dec. 25, following a ruling by the Israeli Supreme Court stating that the outpost was illegally built on privately owned Palestinian land. “After 20 years of pioneering settlement, and against all odds, and after two years of struggle, we have decided to suspend our struggle, and take the government’s offer to build 52 houses and public buildings in new Amona,” Ynet quoted the Amona settlers as saying. 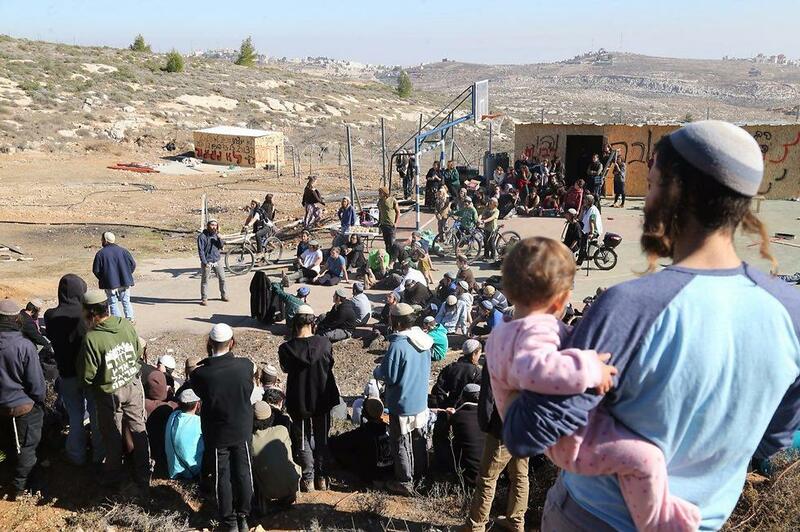 Ma’an News Agency further reports that, a week prior, several hundred ultra-religious right-wing Israelis set up camp in Amona, in anticipation of the outpost’s impending evacuation, raising tensions over a potentially violent confrontation between the settlers and Israeli forces. Amona settlers had rejected previous plans which would have seen only half of them relocated nearby, whereas the current agreement will reportedly see almost all of them staying in the area. In a cabinet meeting on Sunday, Israeli Prime Minister Benjamin Netanyahu reiterated the Israeli government’s “goodwill and love for settlement,” in finding a solution that would satisfy the Amona settlers. “There has not been a government that showed more concern for settlement in the Land of Israel and no government will show more concern,” Netanyahu told the cabinet. 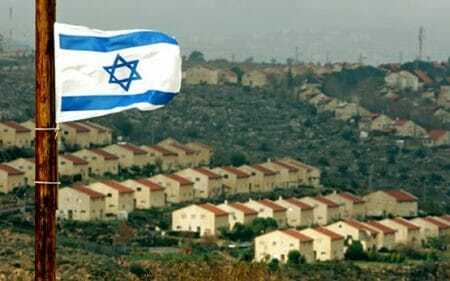 Haaretz reported that the Israeli government was set to approve a budget amounting to 130 million shekels ($33.5 million) for the relocation, which will include compensation, for the displaced settlers, and the establishment of a new settlement near the illegal outpost of Shvut Rachel. Meanwhile, Ynet reported that the head of the Binyamin settlement regional council, Yossi Dagan, bemoaned the forced displacement of Amona, claiming that such procedures “would never have happened to the Bedouin in the Negev or any other population” — a statement which completely disregarded Israeli authorities’ policy of wide-scale demolition of Bedouin villages in the Negev and of Palestinian homes and buildings in Area C of the West Bank. While the settler outposts constructed in Palestinian territory are considered illegal by the Israeli government, each of the some 196 government-approved Israeli settlements scattered across the West Bank are also built in direct violation of international law. Members of the international community have rested the solution to the Israeli-Palestinian conflict on the discontinuation of illegal Israeli settlements and the establishment of a two-state solution. However, Israeli leaders have, instead, shifted farther to the right, as many Knesset members have called for an escalation of settlement building in the occupied West Bank, and some have advocated for its complete annexation. 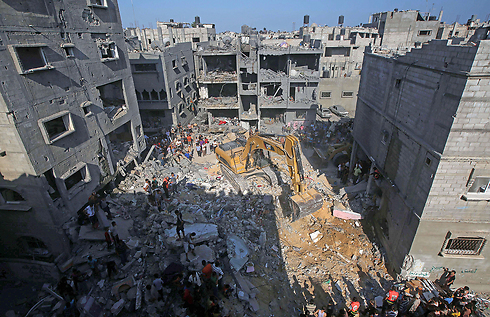 Israeli media, on Wednesday, said that 40 Israeli families have rejected a government plan to be relocated from their houses. However, the settlers said that the offer was so full of holes it was like “Swiss Cheese” and provided a solution for only a quarter of the families, and that they were prepared for a solution of rebuilding new homes on the same hilltop, and not destroying the current structures until the new ones had been completed. The controversy over Amona started in 201,4 when the Israeli High Court of Justice had ruled that the outpost must be demolished by December 25, 2016, because they were built without permits on private Palestinian property. 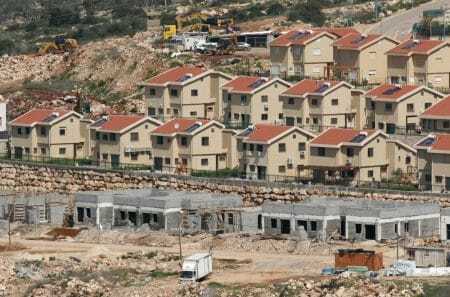 Israeli settlements are illegal in international law. Eyewitnesses reported that a number of Israeli settlers are expanding an outpost they recently started to establish in Khillat Hamad area in the northern Jordan Valley. They told the PIC reporter that the Israeli settlers brought on Monday tractors and plowed the lands of the site they took over two months ago. On Tuesday, they added, the Israeli settlers brought construction materials in preparation for the construction of a settlement outpost in the area. The Israeli occupation authorities have recently intensified the confiscation operations and military training in the northern Jordan Valley. Naftali Bennett announced a new solution to the Amona evacuation on Monday afternoon, formulated with Prime Minister Benjamin Netanyahu that would require the residents to relocate while remaining on the mountain. According to the new solution, which was presided over during the last few days in a bid to quash the risk of matters escalating out of control as authorities prepare to implement court orders to remove the residents, homes belonging to 40 families will be transferred to available land in a different area in the outpost on condition that their owners acquiesce in the evacuation of their original location. The solution is set to be put before the residents who will be required to approve the newest development. Politicians have said that a pragmatic solution to the debacle now hinges upon the decision of the residents. “If they agree, we will go with this solution,” one official said. “After a lot of effort we succeeded in formulating a good plan to use absentee landowners’ land and we stuck to the targets we set for ourselves—to keep Amona on the mountain,” Bennett delighted. “This is a new plan with greater longevity on a massive space, with huge potential for the future,” he added. Last week, the government considered a solution in which the forty families from the outpost would be transferred to temporary caravans in the adjacent settlement of Ofra and perhaps relocated to a new settlement. 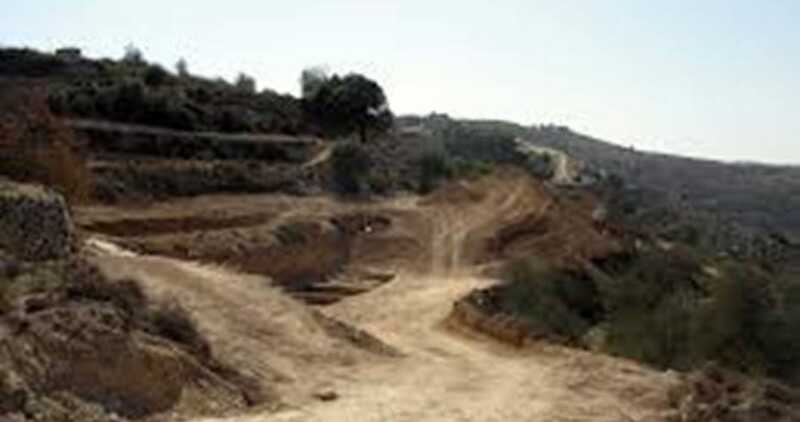 As part of the old proposed solution, a new settlement was set to be established for the evacuated residents near Shvut Rachel in the Binyamin region. 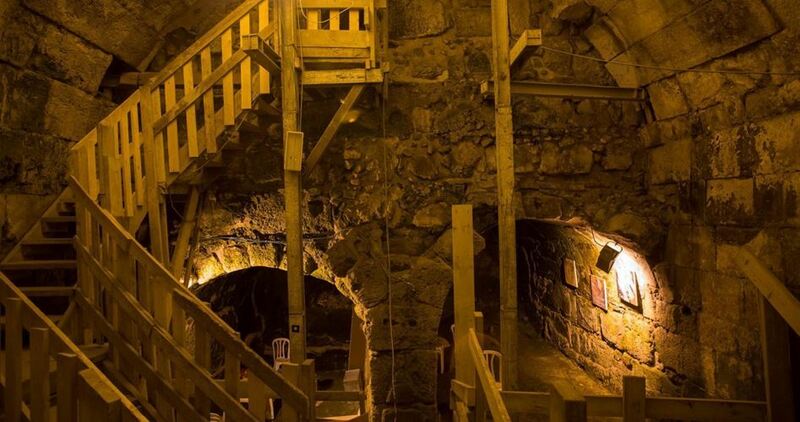 If the latest solution is countenanced by the residents however, they will be enabled to maintain their presence on the Amona mountain, albeit in new location on its peaks. Reiterating remarks made last week as he praised the passing of the first Knesset reading of the Regulation Bill, Bennett implored Amona residents or supporters to refrain from resorting to violence. “Most importantly I want to state unequivocally—it is totally forbidden, in any situation, under any condition, to act violently for any purpose,” he said. According to initial evaluations, the new solution will implement a project by which Area 30— containing some 25 dunams of available space— will be freed up in the outpost making way for the transfer of the homes while remaining on the mountain. If the residents agree to the proposal, Bayit Yehudi, the chief advocates of the Amona outpost, will request a 30 day extension.